Find Ballantyne, NC Condos for sale. View Photos, Maps and MLS Data Now! Maple Crest - All appliances included. Walk to the community pool MLS#3498869. Carolinas International Realty. Tons of storage with oversized laundry room and 2 car garage! MLS#3498288. Carolina Realty & Investing Group LLC. Copper Ridge - The community amenities feature swimming pool, tennis courts, fitness and club house. MLS#3497783. Keller Williams Ballantyne Area. Oakbrooke - Within walking distance to Ballantyne Elementary School, new Sprouts & Publix grocery stores, shopping, dining, greenways, parks, 485 & so much more! ! MLS#3495643. Gibson Realty Group, LLC. Riviera - You'll love the community pool and the HIGHLY desirable schools! Welcome home! MLS#3495592. Links Realty Group Inc.
Stillwater - This home is move in ready and wlll not last long ! ! MLS#3490857. Don Anthony Realty, LLC. Southampton - Washer, dryer, and refrigerator included. Move in ready. MLS#3495982. Allen Tate Ballantyne. Stillwater - Close to everything right in the heart of Ballantyne: Morrison YMCA, shopping, dining, Stonecrest, and Ballantyne schools! MLS#3496061. Nemenz Real Estate LLC. Sterling Heights - SALE SUBJECT to LEASE until 6/2020. MLS#3494477. Keller Williams Ballantyne Area. Southampton - 2-10 Home Warranty. Walking distance to community pool. MLS#3492826. Allen Tate Ballantyne. Southgate - Minutes from Southpark Mall, Uptown, and Charlotte airport. MLS#3492169. Keller Williams Ballantyne Area. Ivy Ridge at Ballantyne - 2-10 One year Homebuyers Warranty included also! Lovingly cared for home. MLS#3491963. Allen Tate SouthPark. 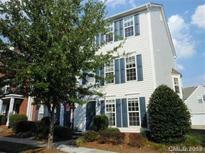 Blakeney Preserve - This Sun filled End Unit has been meticulously cared for. Top Rated Schools-- Wow! MLS#3492244. Allen Tate SouthPark. The Enclave at Ardrey Kell - Contact the Listing Agent for details. MLS#3486882. Keller Williams Ballantyne Area. Blakeney Preserve - Located within an easy stroll to shopping (Home Goods, Starbucks, Target, Chick-fil-a and more), medical facilities, churches, etc. MLS#3489356. Wilkinson ERA Real Estate. Southgate - Lovely patio of the great room. You will not be disappointed! ! MLS#3490074. Allen Tate Wesley Chapel. Tyler Woods - A community pool is part of the HOA. MLS#3487818. Opendoor Brokerage LLC. Cedar Walk - Ample cabinet space awaits in the kitchen, and there is a large storage closet under the stairs. Zoned for top-rated schools! MLS#3486423. RE/MAX Executive. Troon at Ballantyne - SHOWINGS BEGIN FRIDAY 3/22/19 at 12:00PM MLS#3480860. Pridemore Properties. Tyler Woods - Home comes with a 30-day buyback guarantee. Terms and conditions apply. MLS#3486247. Opendoor Brokerage LLC.